“Exciting! Fun!Unique” is the only way to describe our trendy women group fitness classes that are designed by women for Dubai women. Keeping up with all the latest crazes in fitness our classes appeal to women of all ages and fitness levels. Every group class is an unforgettable experience that combines great music, amazing motivating instructors and a fabulous energy that keep the ladies coming back for more…. Our group classes will build your physique, improve your endurance and cardiovascular health and boost your metabolism. Women focused: Designed for women focusing on women’s problem areas (legs,bums & tums). Current: All classes are designed using the most up to date techniques (No pre-choreographed commercial routines offered by commercial Gyms). Variety: Our group schedule offers a great variety, from Strength, Cardio, HIIT, Tabata, Circuit, Dance and Yoga. Exciting: A new routine is offered at the most every month with new choreography and amazing music. Fun: All workout are kept FUN given by enthusiastic dedicated and helpful female instructors. Get the body you’ve always dreamed of. In 45 minute class, you will burn calories while toning arms, legs, abs and glutes. Plyometric or explosive moves like high knees, burpees, and jumping jacks are interchanged with isometric moves like lunges, squats, and kickboxing. STRONG by Zumba® instructors change up the music and moves frequently to make sure you’re always challenged to the max. Create harmony between body and mind. It is a training method using exercises from yoga, kinesiotherapy, stretching and pilates combined with breathing techniques and relaxation. Comparing to yoga or pilates BodyART® women group classes Dubai has more flow and dynamism in the exercise routine. is an effective form of cross training that incorporates a combination of boxing movements and aerobics. This makes a fun alternative and also improves rhythm, co-ordination as well as burning calories! A Boxercise class focuses on upper body conditioning, toning of your arms, chest, and abs. It also includes some lower body exercises as well as improving cardiovascular fitness so it is considered a perfect training workout. Boxercise classes are normally 45-60 minutes long. Is an exercise regimen that incorporates elements from Tae Kwon Do and boxing combined with dance movements. It is a system devised and introduced by Tae Kwon Do adept Billy Blanks and has since been brought to millions through videos and classes. 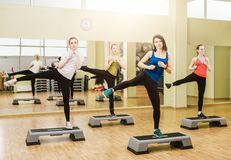 Is an aerobic activity allowing you to improve cardiovascular fitness whilst toning the lower body by using a stepping platform to perform several combinations. Step Power is a long-standing favorite, as it allows you to work at your own level, incorporating toning and calorie burning exercises and is an enjoyable experience. Step Power combinations work for the major muscle groups, and some weight work is also incorporated to tone the upper body too. The cooldown exercises will also strengthen the core and improves flexibility. Step Power lasts 45 mins-60 minutes depending on the timetable. During Step Power, the low impact and high energy mean fat is burnt fast, so ensure you wear comfortable shoes and bring water! It works very well to combine this class with another to enhance your fitness levels quicker, and reach the goals you desire! Tabata training, is 4 minutes of intense interval training/circuit training, in a number of combinations over a period of 45 minutes. It can be done with a number of different exercises and the idea is to use an exercise that gets the whole body involved, or at least the major muscle groups. As a full body workout, Tabata can be done as a cardio or strength activity. 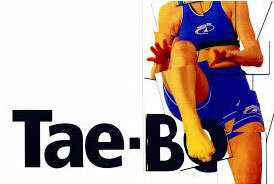 Tabata training can be done with barbells, dumbbells, kettlebells or just bodyweight exercises. This class is the ultimate in interval training, and is guaranteed to make you work! These great fitness classes are typically 45-minute session, which are very intense and will get very sweaty and work off those calories! It is up to you as it will depend on your goals. You can even choose to practice Tabata training as your only workout due to its intensity! Ensure to wear clothes easy to move in, and suitable trainers appropriate for an indoor fitness center. Just wanted to check whether we can pay per class and how much does it cost. Yes you can pay per class also monthly, 3,6 months and yearly. How far away from financial st metro are you? We are situated between First Gulf Bank & Noor Islamic Bank metro stations ! Thank you for offering your services as a Zumba instructor but at the moment we don’t have a need for an instructor. hi i want to know if there are discounts for emirates platinum/facecard holders?